Drake has been nominated for eight 2017 Grammy Awards. 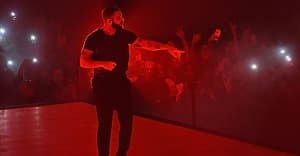 On Tuesday, Drake got nominated for eight Grammy Awards, including Album of the Year, alongside Adele, Beyoncé, Justin Bieber, and Sturgill Simpson. It's his first time being recognized in the genre-agnostic category; he's been nominated for Best Rap Album three times, and won once for 2011's Take Care. And, as always, when it comes to both the Grammys and Drake people feel a way. Out of his eight nominations, his inclusion in this category appears to be the most contentious among Twitter users. Some people feel Views is a great project and deserving of the Best Album nomination, while others believe it fell too short to deserve such recognition from the Recording Academy. Check out some of the reactions below. Rap albums in this era don't spend 3 months at number one or go 4x Platinum by accident. Views was dope. If you didn't think Views was gunna collect all those Grammy noms, you must have never seen the Grammys before. 4x platinum. AOTY nomination. Drake purposely made Views the way he did for these reasons. Easily digestible. Not mad at his wins at all. Seeing Wizkid's name under "Views" album in the Grammy Nominee list gladdens my heart.